It can also treat seasonal allergies symptoms among children and adults. It is also used to treat the symptoms of chronic idiopathic urticaria. 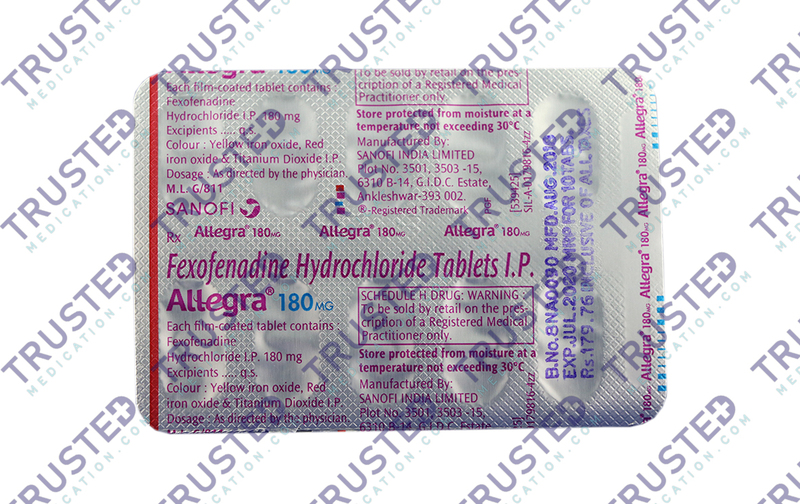 You can buy Fexofenadine here. 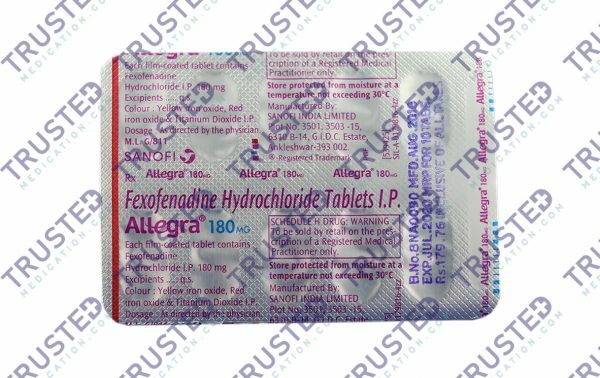 Why buy Allegra (Fexofenadine) for allergy? 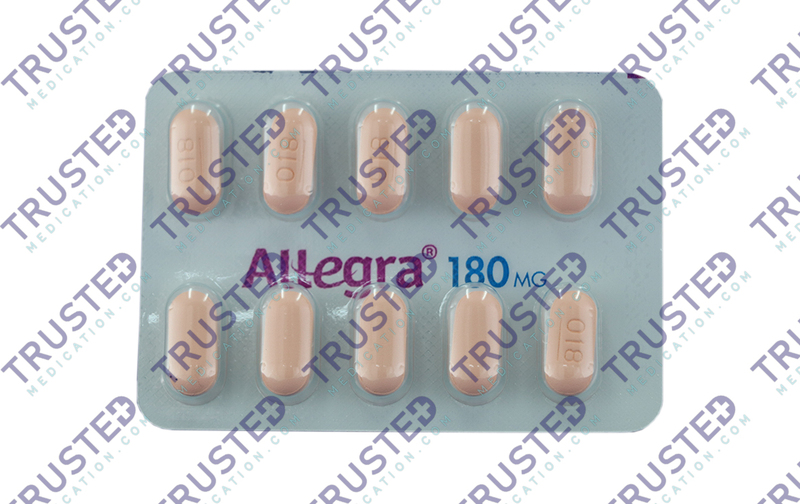 Allegra is a year-round allergy medication. 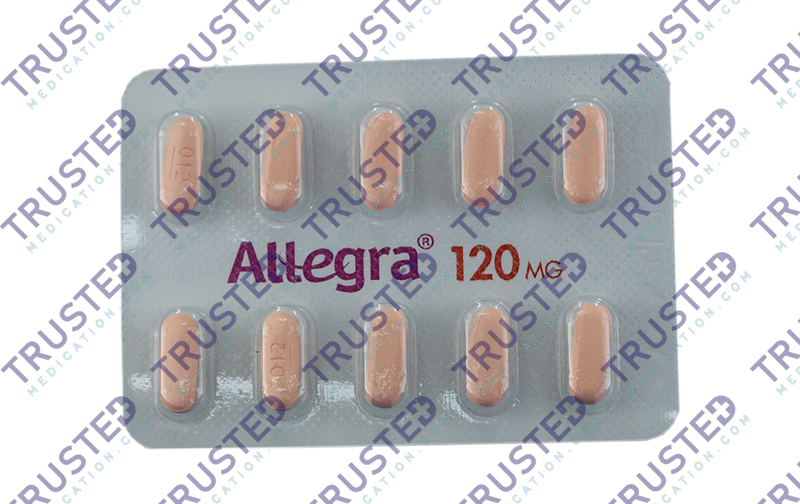 Allegra can relieve allergic symptoms without making you feel drowsy or too sleepy. Its effect is not that sedating compare to other forms of antihistamines available in the market. It is also available as a generic drug that comes in capsule and syrup form. Allegra is approved for kids aged 6 months or older. 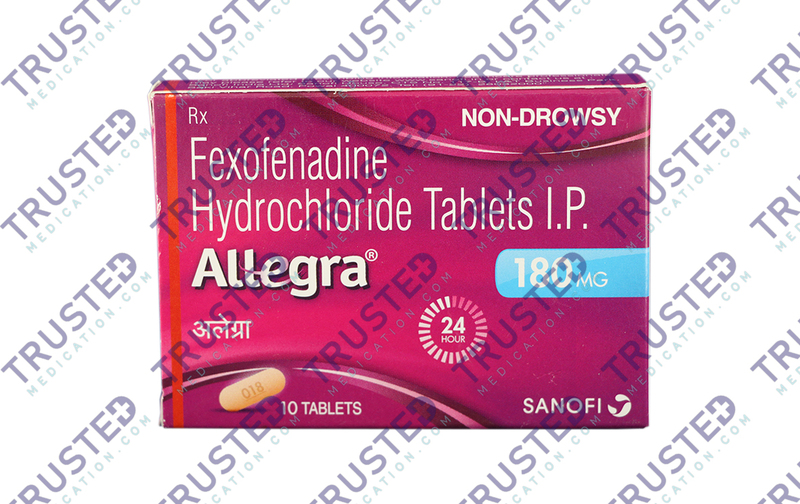 How does Allegra (Fexofenadine) work? 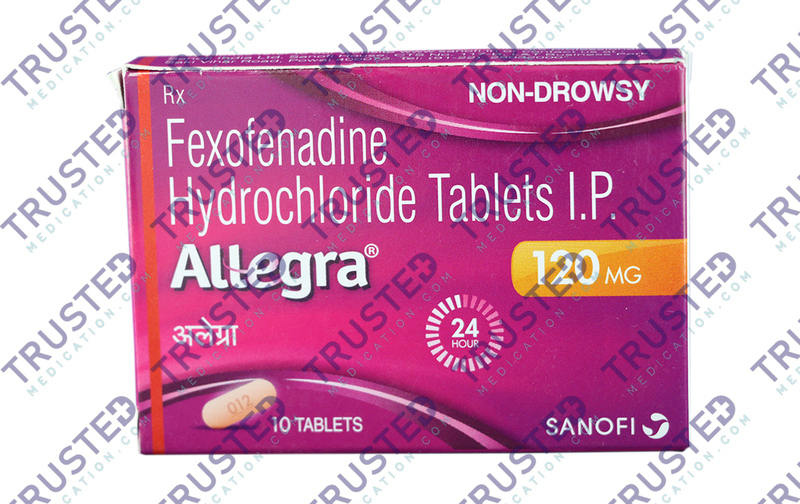 Allegra contains Fexofenadine as an active ingredient. It belongs to the class of medications known as histamine receptor antagonists. 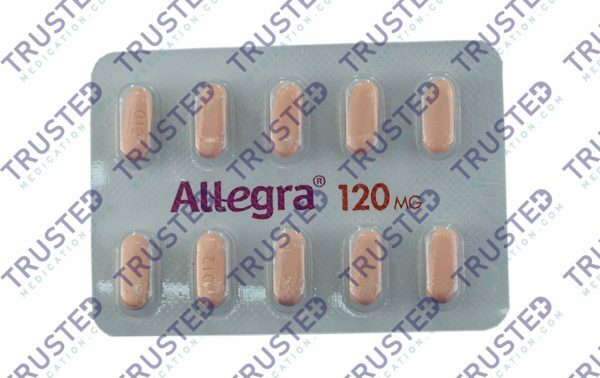 Allegra works by inhibiting the action of one of the body’s natural chemical responsible for many of the symptoms of allergies called histamines. Allegra usually starts to work within one hour. How to use Allegra (Fexofenadine)? Read all the information found on the product package before using this drug. Take it once a day with or without food or as directed by your doctor. Do not take this drug with fruit juices since they may decrease the absorption of this medication. Your dose and strength depend on your age, medical conditions and response to treatment. You shouldn’t take any medications containing magnesium and aluminum within two hours of taking this drug. What are the side effects of Allegra (Fexofenadine)? You are breastfeeding. The active ingredient can pass into breast milk. This drug may cause interactions with other drugs that contains magnesium and aluminum. Cetcip-L (Levocetirizine Dihydrochloride) contains an active ingredient Levocetirizine Dihydrochloride. It belongs to the drug group known as Antihistamine. It can help relieve the symptoms associated with seasonal and year-round allergies. This medicine is used to relieve reddish itchy weal, dust or pet allergies, skin edema, hay fever, swelling in the skin, and other allergic symptoms. It works by blocking a natural substance that causes allergic rejection. 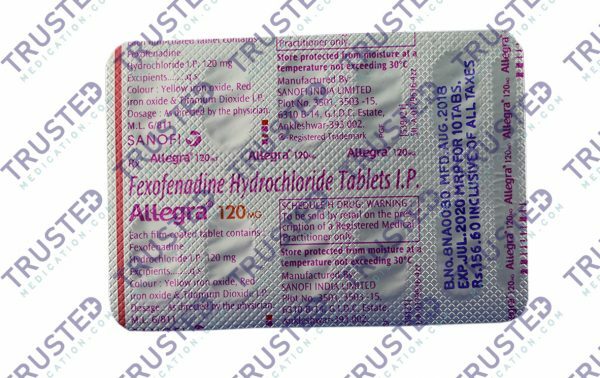 You can buy Levocetirizine Dihydrochloride here. Alerid (Cetirizine Hcl) is an antihistamine. It helps relieve the symptoms of mild allergy that is associated with rhinitis and urticaria. Symptoms may include sneezing, itchy nose or throat, watery eyes, and runny nose. It is also effective in treating swelling and itching caused by hives. The chemical known as “Histamine” is the reason for the allergic symptoms. The body produces this chemical when it come contact with certain allergens. It is the histamine that causes the symptoms associated with allergies. Alerid reduces or blocks this chemical and provides relief from these symptoms. 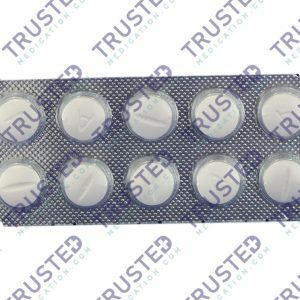 You can buy Cetirizine Hcl here. Arzep (Azelastine Hcl) is a nasal spray that belongs to a group of drugs known as antihistamines. It contains Azelastine HCL (0.1%) as an active ingredient. Arzep can treat conditions like perennial allergic conjunctivitis, allergic rhinitis and other allergy symptoms causing irritation and inflammation of the nasal passages. You can buy Azelastine Hcl here. 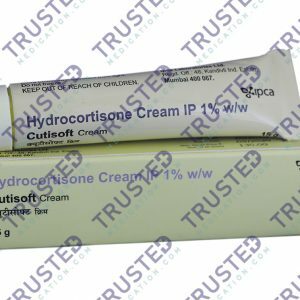 Cutisoft Cream (Hydrocortisone) is a topical medication used in various skin infections, skin allergies, asthma and multiple sclerosis. Cutisoft Cream can also treat hemorrhoid and swelling of the intestinal lining and steroidal hormone deficiency in the body. It is similar to the natural hormone produced in the body which affects many functions in the body. You can buy Hydrocortisone here.